Integrates several working strategies to solve the chromatographers daily problems focused on method development. 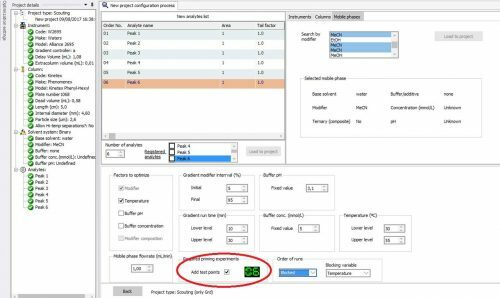 Allows different approaches depending on whether the components of the mixture to be separated are traceable or not (unknown in number and/or nature). Download Mnova for a suitable Operating System (below). No extra installer is required. Fill in the form to receive your trial license via e-mail. For older installers and system requirements please go to Downloads. Minimum experimental effort warranting that the models have been properly validated. Fast learning curve using a single interface for all the different environments/tools. Maximize the information generated by an intelligent automation process. At the same time it gives flexibility to the chromatographer to interact during the optimization procedure. High efficiency tool since it includes several working environments within the same application. 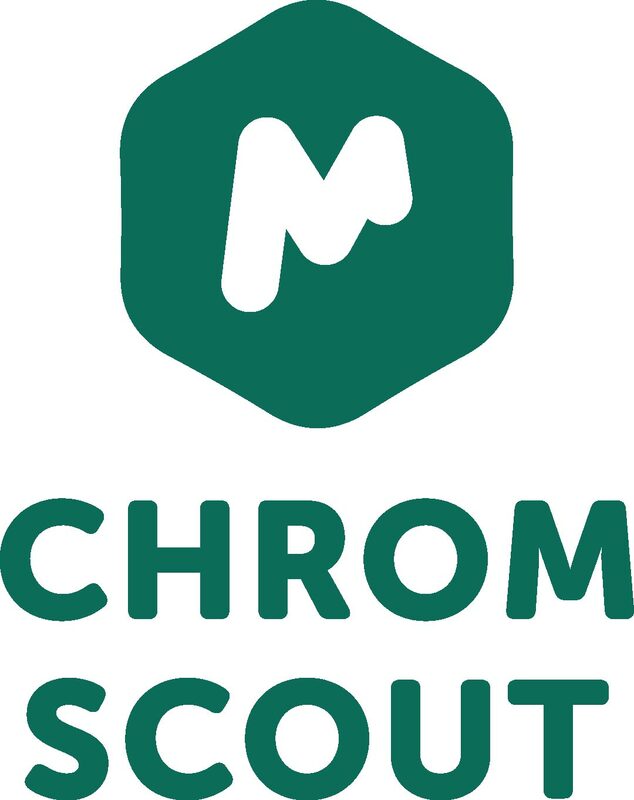 Mchrom Scout will create completely independent projects for any of the strategies and working tools used. It has been designed by the chromatographer for a very wide range of chromatographers. Despite using a powerful optimization engine in the background, it does not require advanced knowledge of statistics to obtain your results in a reasonable time. The aim of this tool is to provide realistic and also validated methods for the chromatographer. The goal is to avoid surprising or unrealistic results. 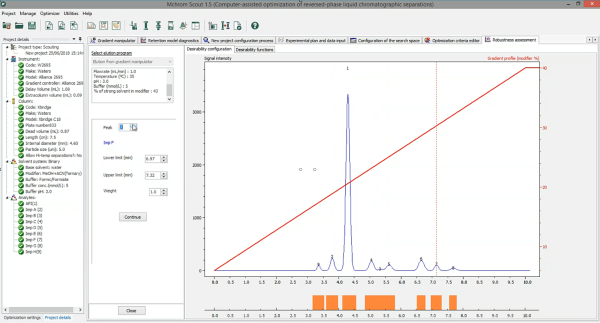 The chromatographer can use the approach which feels most appropriate such as resolution maps, chromatographic response functions or Pareto optimality. Any of these approaches are interchangeable and they can be used to increase your confidence in the results. This is a highly efficient tool since it integrates several working strategies to resolve common problems of the chromatographers. These problems are typically encountered when performing chromatography method development. 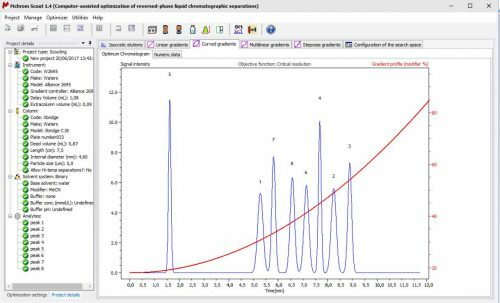 The chromatographer can use the approach which seems most appropriate such as resolution maps, chromatographic response functions or Pareto optimality. These approaches are interchangeable and they can be used to increase your results confidence. 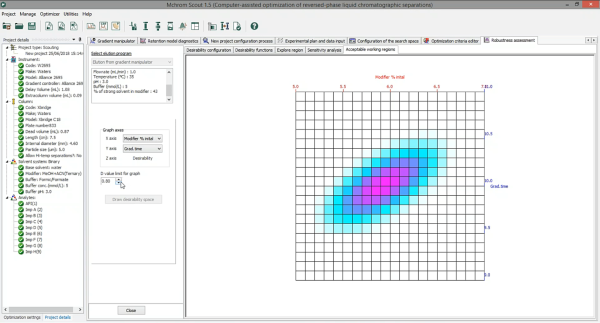 Compare results obtained from different approaches in a few seconds. All results are simultaneously available in one click! Experimental designs proposed by Mchrom Scout include at least two extra runs. They will be used to test the regression model accuracy and reliability. These extra validation runs are independent of model calculations. 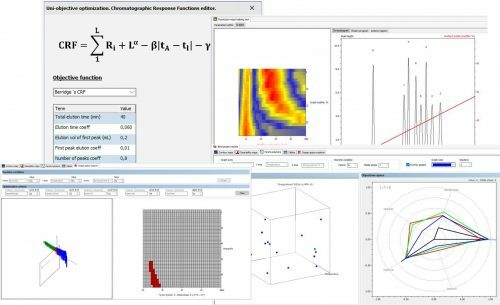 Without these extra validation runs, the reliability of your simulation cannot be verified. Otherwise you will get overoptimistic results. Therefore improved reliability should be obtained at the price of some extra runs. If your analysis do not require these extra runs, you can omit them. Validating your optimization results just with a couple of extra injections! Obtain realistic conclusions! 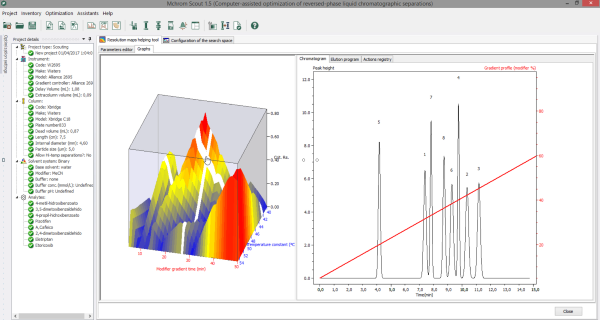 Mchrom Scout facilitates developing methods for the separation of mixtures and provides a method optimization whether the peaks can be tracked or not. In either case, the application adopts a common workflow. It also guides the user to the actions and specifics of each type of project. 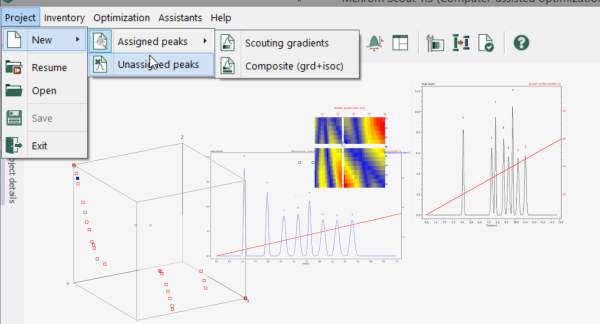 MChrom Scout is the only application providing specific options for known and unknown peaks within the single interface. This single interface simplifies the learning curve. Any chromatographer can quickly achieve competency. 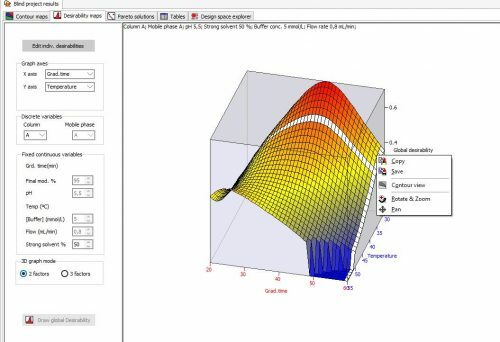 One single interface for all optimization approaches allows a very fast learning curve. 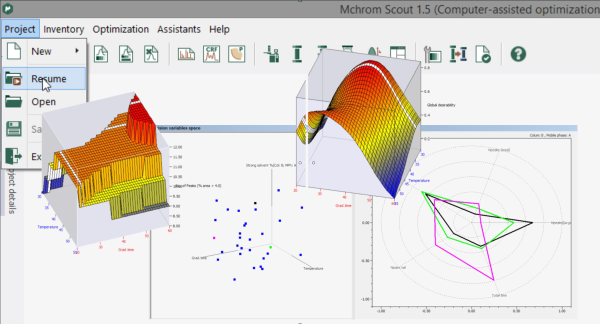 Pareto multi-objective working mode in Mchrom Scout will search more than an optimal solution. The Pareto optimal front of non-dominated solutions using objective functions defined by the user. No weighting coefficients or penalty functions are used. The goals of the chromatographer and constraints are defined using intuitive laboratory language. New to Pareto optimality? Let’s Mchrom Scout guide you to the field of Pareto optimality in chromatography and see the advantages. 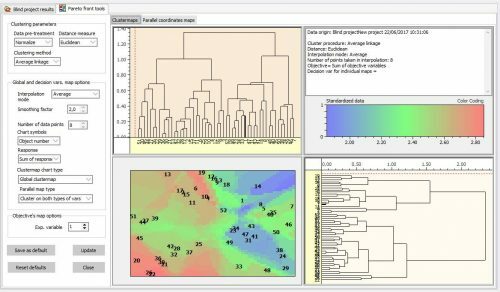 Pareto Optimality for approaches using both known and unknown peaks with extensive helping tools. Select the optimal solution without prejudging the optimization output. These approaches are interchangeable and they can be used to increase the results confidence.